Equatorial Guinea's opposition party, Convergence for Social Democracy has rejected and denounced the government's decision to welcome exiled Gambian former President Yahya Jammeh, who flew to the Central African nation over the weekend after 22 years in power. Andres Esono Ondo, secretary general of the party, said told Associated Press in an email Monday that President Teodoro Obiang would be responsible "for what might occur" as a result of Jammeh's presence on the country's soil. 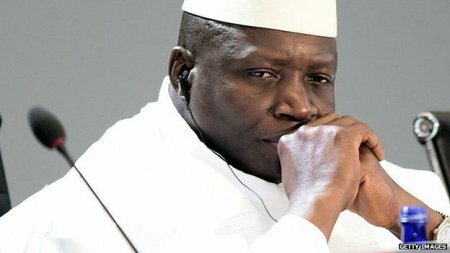 In a statement over the weekend, opposition groups said welcoming Jammeh was like welcoming "the waste of Africa." Obiang's government not yet commented on Jammeh's presence in Equatorial Guinea.